The raw data of the KINEXON sensor network is one of the many data sources that are processed by the KINEXON Real-time Internet of Things platform (KINEXON RIoT). Supporting various interfaces, the software not only processes but also correlates data from these different sources (e.g. RFID, Barcode, Forklift/AGVs, MES) and transforms it into real-time events (e.g. geofencing, collisions) and relevant analytics. 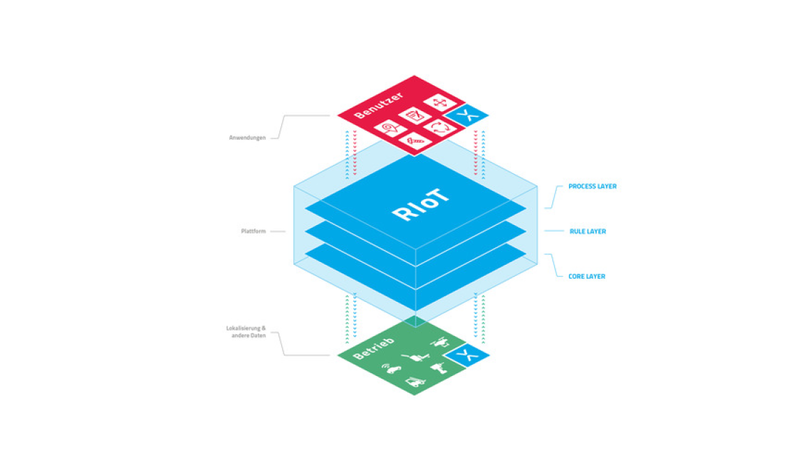 RIoTs focus is on location-related information with integration of telemetry data. Its ability to process up to 1 million data points per second with minimal latency (>100 ms) allows the automation of processes in real-time and enables interaction between systems and tools on the shopfloor. Based on automation and downstream analytics, end-to-end processes and subsequently products can be improved in terms of quality, cost, time, and flexibility.